The piece features a background image created by artist Himitsuhana, overlayed with tufts of fur and hand cut out in a special rubber backed fabric. 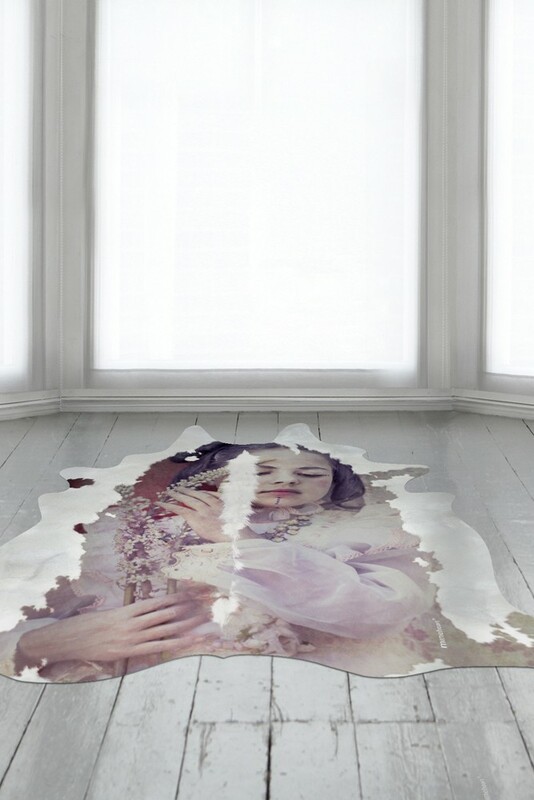 A fusion between art and utility, this rug will add a beautifully surreal touch to any interior, and unlike real cowhides this one is hypo-allergenic, washable, and will always lay flat. Designed by Young & Battaglia with artwork by Himitsuhana, these rugs are made in England.